Crossrail - Parliamentary documentation - Crossrail . For information about the Elizabeth line please visit the Transport for London website. 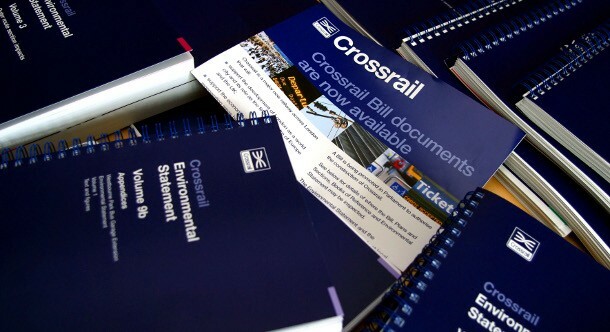 The library folders below contain all of the Crossrail Bill documents. You can also use the navigation to the right to access detailed information about Crossrail, The Environmental Statement (ES) and the Plans and Sections deposited with the Bill. Some of these files are large in size and may take some time to download.